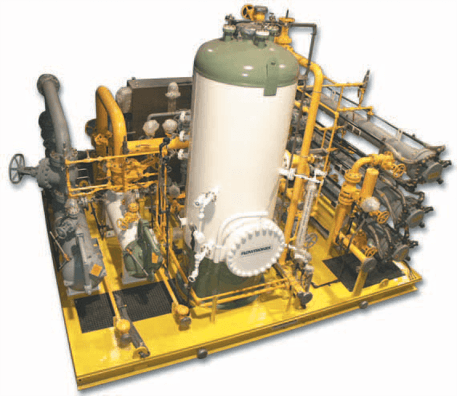 Integrated Flow Solutions Fuel Gas Conditioning Skids are designed to protect natural gas fueled engines and turbines from liquid slugs, solids (< 0.1 microns) and liquid aerosols. Additionally, the fuel gas is superheated above the hydrocarbon and water dew points to prevent liquid condensation in the turbine’s combustion chambers. 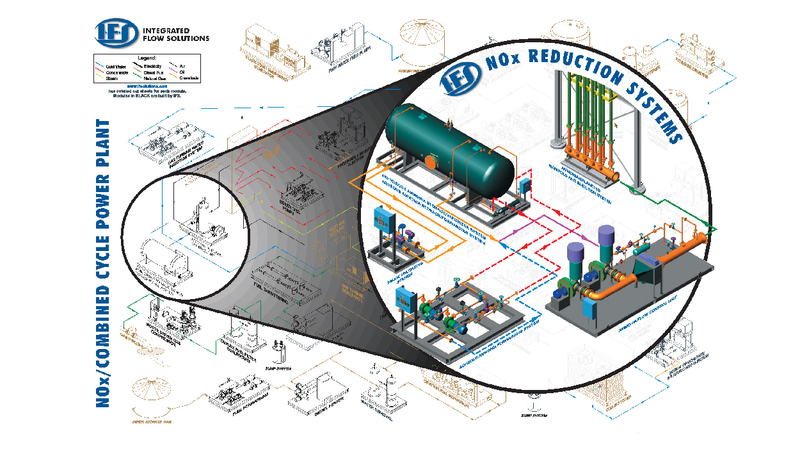 These systems meet or exceed reciprocating engine and turbine manufacturers’ fuel gas quality specifications providing dry, clean fuel to increase the life of the equipment. – FGCS-100.0 Pictured at right.